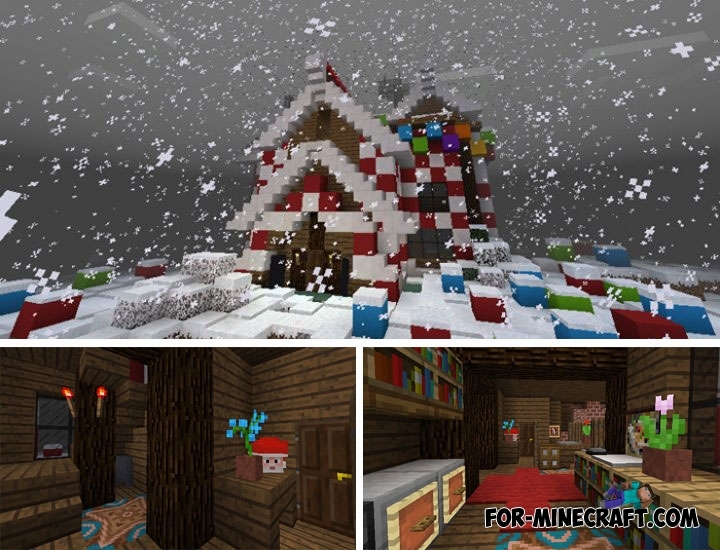 You have a choice where to celebrate Christmas: in a thematic and very beautiful house with the best decorations that can only be built in Minecraft PE or in your standard shelter, unless of course you are a creative builder. The map offers an ideal and cozy place to meet Christmas, there is nothing superfluous, just a small sweet house of fairy tales and cartoons. Keep in mind that there are decorative mods such as SlePE Furniture or Furniture addon which will help you to decorate and diversify this house even more. SlePE Furniture mod v1.3 for Minecraft PE (Bedrock)How much have we already added decorative mods for Minecraft PE?